HTC, after launching its One E9s Dual SIM smartphone in India earlier this month, is reportedly set to launch a new handset under its Desire lineup – the Desire 728G Dual SIM. The smartphone is said to come with a price tag of Rs. 17,990 according to an established Mumbai-based smartphone retailer. The post by Mahesh Telecom calls the smartphone the HTC Desire 728 “World Phone” Dual SIM, and points to its GSM-GSM+CDMA support, making it a variant of the HTC Desire 728 Dual SIM that was launched in China last month. The smartphone is speculated by Fonearena to be the 3G-only Desire 728G Dual SIM launched in Germany recently, which also features GSM-GSM+CDMA options, and matches the specifications of the retailer’s Facebook post. Apart from network support, the biggest difference between the Desire 728 Dual SIM and Desire 728G Dual SIM is the presence of 1.5GB of RAM instead of the 2GB of RAM on the China variant. The China variant also runs Android 5.1.1 Lollipop, while retailer has listed Android 5.0.2 Lollipop for the variant set to be launched in India. The HTC Desire 728G Dual SIM runs [Android 5.0.2 Lollipop with HTC Sense and features a 5.5-inch HD (720×1280 pixels) display. It packs a 13-megapixel rear camera with LED flash, and a 5-megapixel secondary front-facing camera as well. Also, the handset is powered by an octa-core SoC (clocked at 1.3GHz). The 16GB inbuilt storage on the Desire 728G Dual SIM is expandable via microSD card (up to 2TB). The Desire 728G Dual SIM features 3G, Wi-Fi, FM radio, Bluetooth, GPRS/ EDGE, GPS/ A-GPS, and Micro-USB connectivity. It is backed by a 2800mAh battery that can offer up to 21 hours of talk time and up to 485 hours of standby time in 3G. It measures 157.9×77.84×7.87mm and weighs around 153 grams. Much like other recently launched HTC smartphones, the Desire 728G Dual SIM features HTC BoomSound technology, which is complemented by Dolby Audio as well. 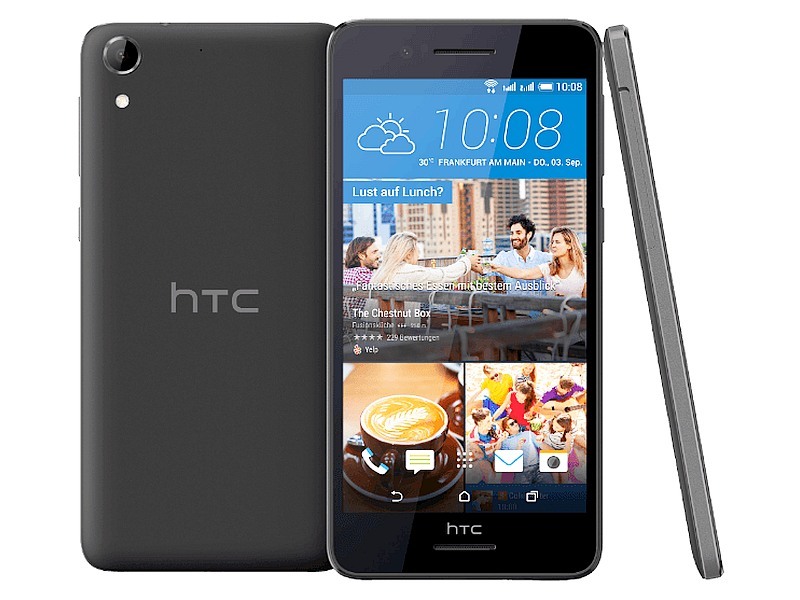 HTC earlier this month launched its One E9s Dual SIM smartphone in India at an MRP of Rs. 23,500. It shares almost the same specifications as the upcoming Desire 728 Dual SIM except for a 4-megapixel UltraPixel front-facing camera and a smaller 2600mAh battery.